This beautiful old window BENEFITS FROM BEING IN IT'S ORIGINAL SASH FRAME. Removed from a property in the beautiful county of NORTHUMBERLAND during refurbishement. A window of outstanding beauty with exceptional coloured and textured glass. 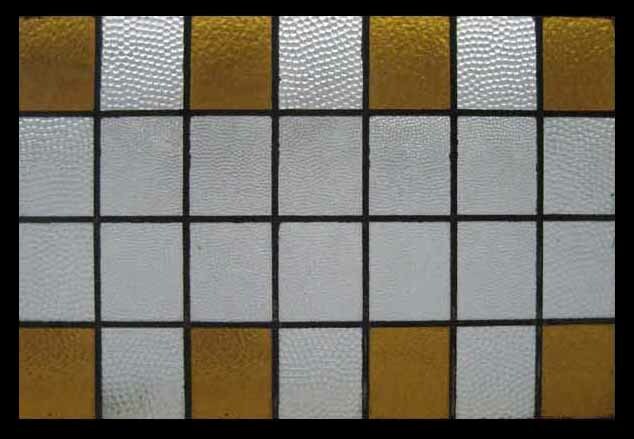 This beautiful amber coloured glass is of a heavy and deep texture. The leads & Glass are in sound condition. SASH FRAME MEASURES 35" W X 30"H INC 3" SASH FEET GLASS MEASURES 32" W X 24" H Shipping and packing for USA would be $199.